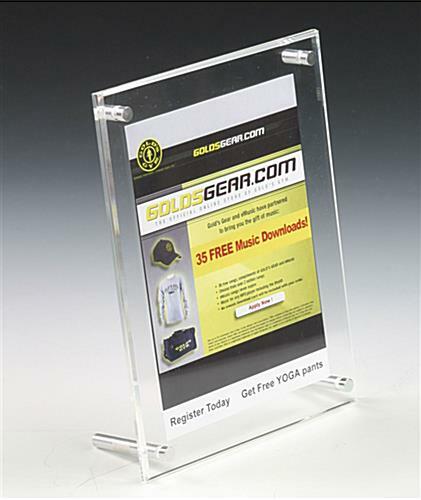 These acrylic picture frames are ideal for holding a sign in your retail store! 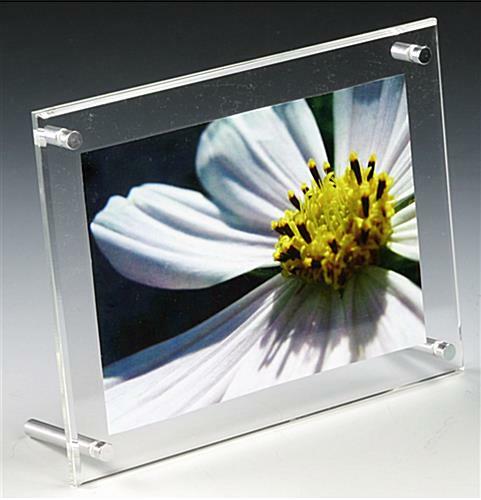 These clear photo holders, Acrylic Picture Frames provide great decorating solutions for both home users or commercial consumers. 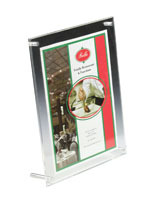 These acrylic picture frames can be used to display family photos, postcards and promotional signs. 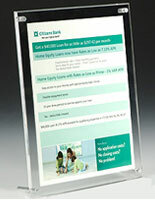 The stylish essence of this photo frame makes it easy to fit any environment décor. 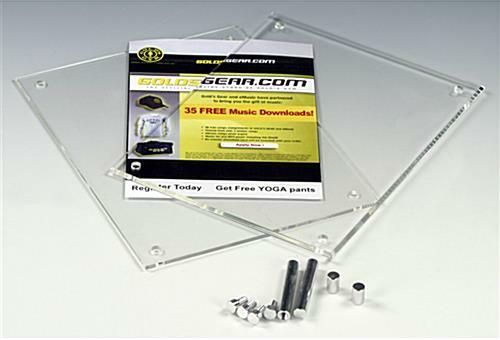 Acrylic Picture Frames, such as these clear sign holders are fabricated from two acrylic panels and each measures 1/8" thick. Four metal binding screws hold the image in between these two clear panels tightly. 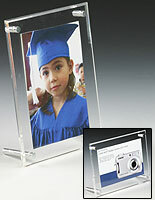 These acrylic picture frames provide an easy way for you to change photos, either portraits or landscapes.